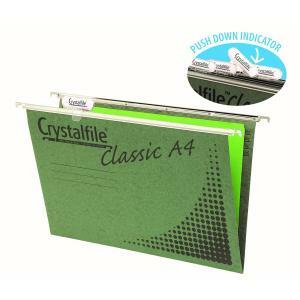 The Crystalfile® suspension file is an ideal choice for storing A4 sized files. It is made of manilla board and comes pre-punched for use with Crystalfile® file fasteners. It has nylon runners that ensure smooth gliding of the files on the suspension system.